(1)15 years rich experience of OEM &ODM.If the order in large quantities,free charge of mould fees. we own Jintian Copper Bar Company, which guarantees product quality,low cost and timely supply. Whole process monitoring from material to the finished product,100% sealing performance test and 100% leakage test. (4)From time to time product checking during producing. (5)Final inspection of products` function and appearance before package. Export neutral packing (PVC bag,inner white box,master carton) or Customized packing as request. The Yongsheng copperPress Fitting Street 45Deg Elbow is used in residential and commercial systems such as potable water, air conditioning and refrigeration. The Copper Press Fitting fitting provides a means of changing the pipeline direction 45 degrees. It is used when velocity is not a problem. In addition to its inherent qualities of beauty, durability and low maintenance, copper`s reusability makes it an ideal application in sustainable projects. Looking for Copper Fitting Manufacturer & supplier ? We has a wide selection at great prices to help you get creative. All the Copper Press Fitting are quality guaranteed. 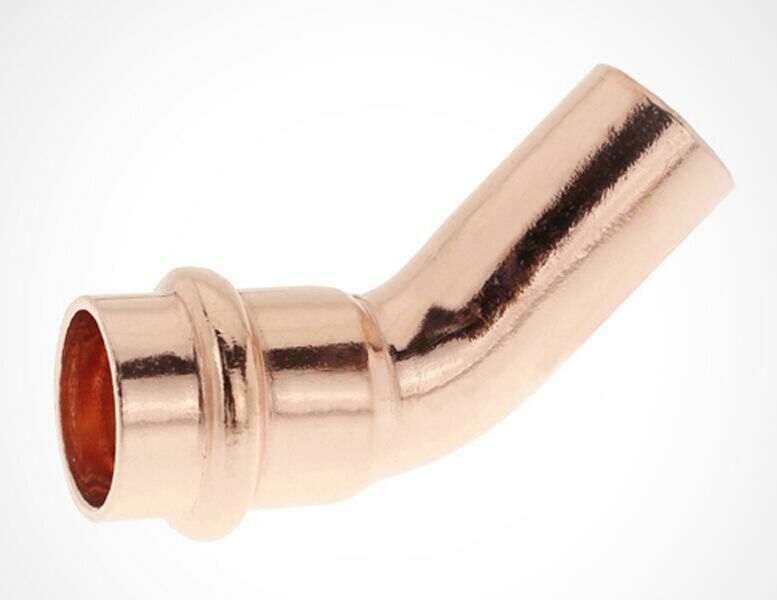 We are China Origin Factory of Copper V-Press Fitting Street 45Deg Elbow for Plumbing. If you have any question, please feel free to contact us. 2. Widely used in plumbing system, refrigeration, chemicals etc..
1. Linhai Yongsheng Pipe Co.,Ltd. Established in 2003 with 120 staff. Looking for ideal Street Elbow Fitting Manufacturer & supplier ? We have a wide selection at great prices to help you get creative. 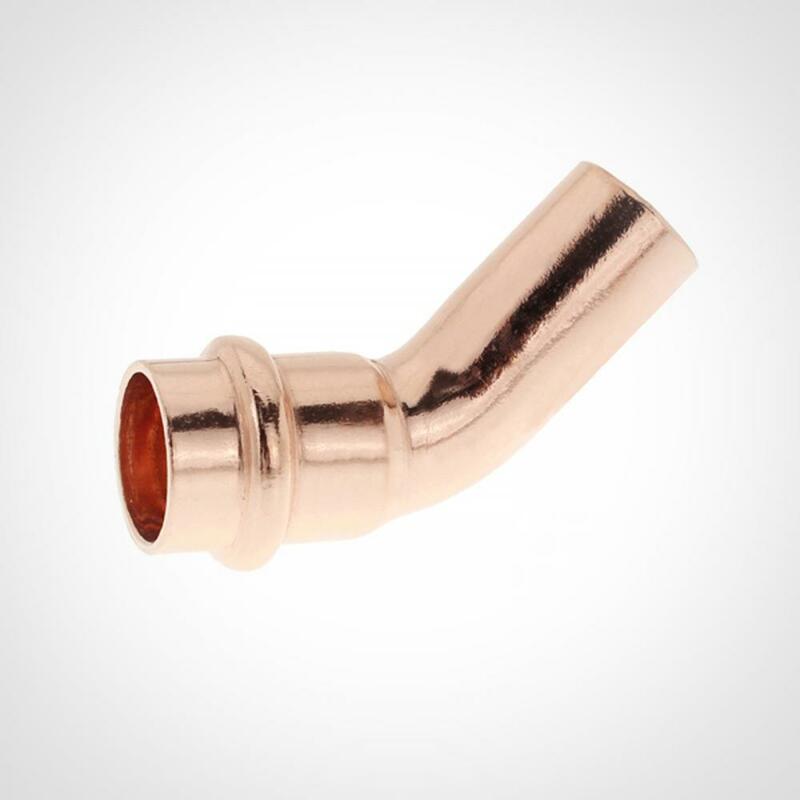 All the Copper Press Fittings are quality guaranteed. We are China Origin Factory of Press Fitting Street 45Deg Elbow. If you have any question, please feel free to contact us.